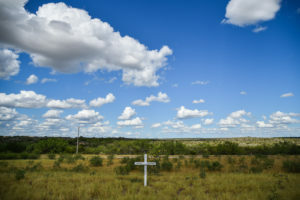 LAREDO, Texas — A U.S. Border Patrol agent who confessed to shooting four women in the head and leaving their bodies on rural Texas roadsides has been indicted on a capital murder charge, a prosecutor said Wednesday. A grand jury decided to upgrade the charge against Juan David Ortiz, Webb County District Attorney Isidro Alaniz said at a news conference. Alaniz said prosecutors will seek the death penalty.